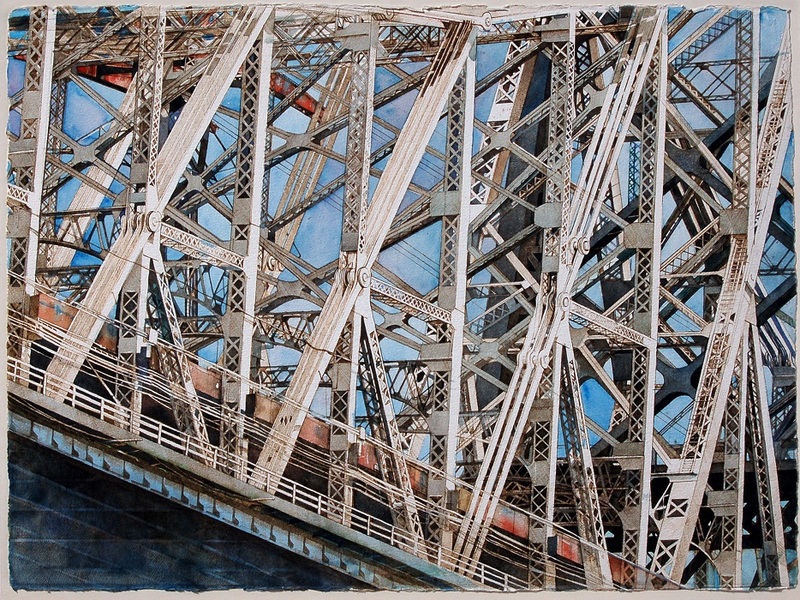 I did this piece over months, putting it aside when parsing the structure of the 59th Street Bridge got crazy-making. It is interesting that one sometimes feels totally confused, yet inevitably discerns a way ahead after some time away from the art. I am fairly certain that we puzzle out such challenges as we sleep. This piece is one of my favorites and hangs in our home.